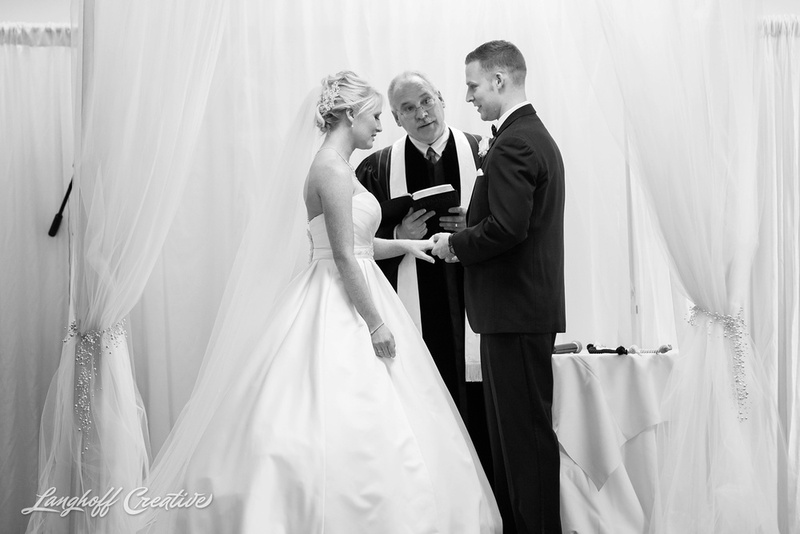 The love story of this special couple was reflected so well in the sweet vows they wrote each other on their wedding day. 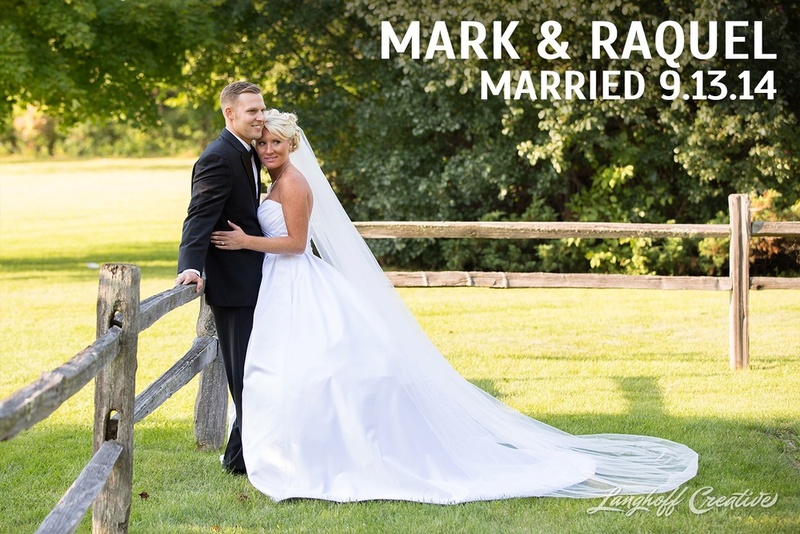 Everything about Mark and Raquel’s marriage ceremony was beautiful. In fact, Raquel wasn’t the only one in the room with a continuous stream of joyful tears down her cheeks. 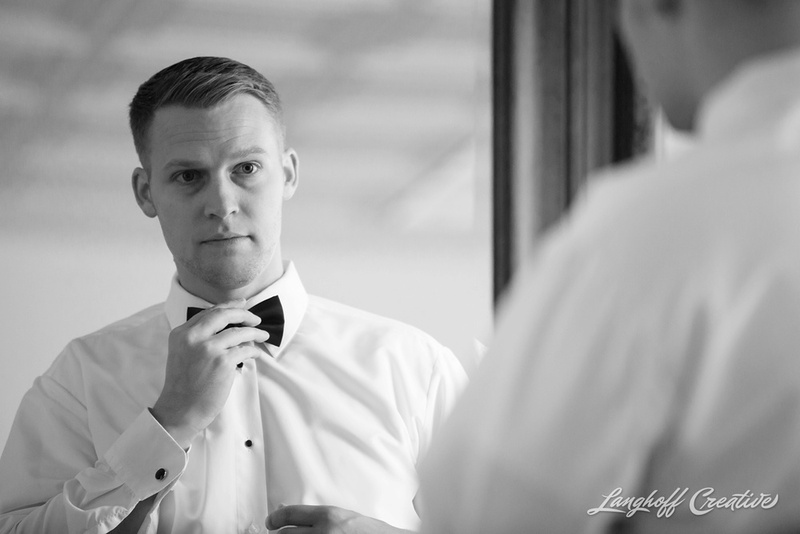 It was the kind of ceremony that reminded you of the power of love (cue Huey Lewis here if you feel so inclined). There is no doubt in our minds that these two will fight for their love every day of their lives and will enjoy each moment they have together. Chad and I have valued their friendship over the last year and have grown very close to them both. Although miles now separate us, last night, we had the privilege of sharing their wedding images with them over a virtual dinner date online. 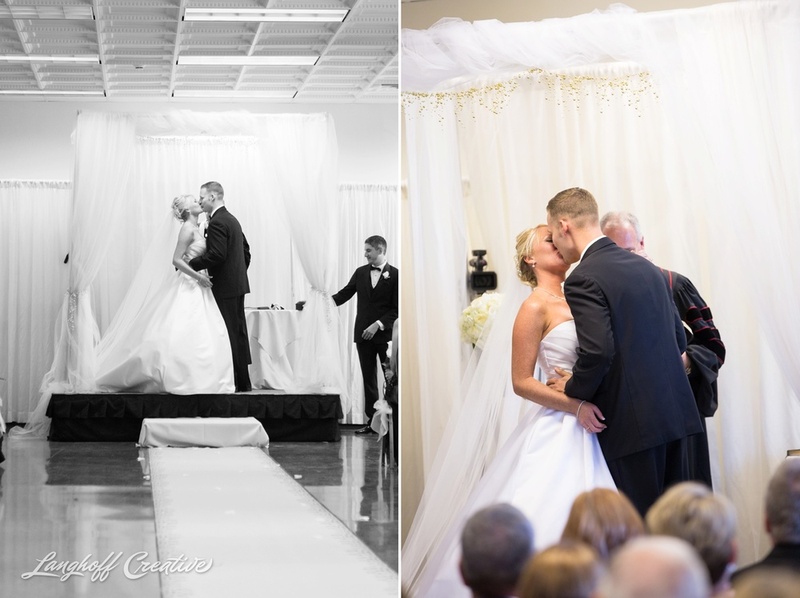 Video chats are amazing—and being able to see Mark and Raquel relive their wedding together through photographs was reason number 2,086 we love our job. 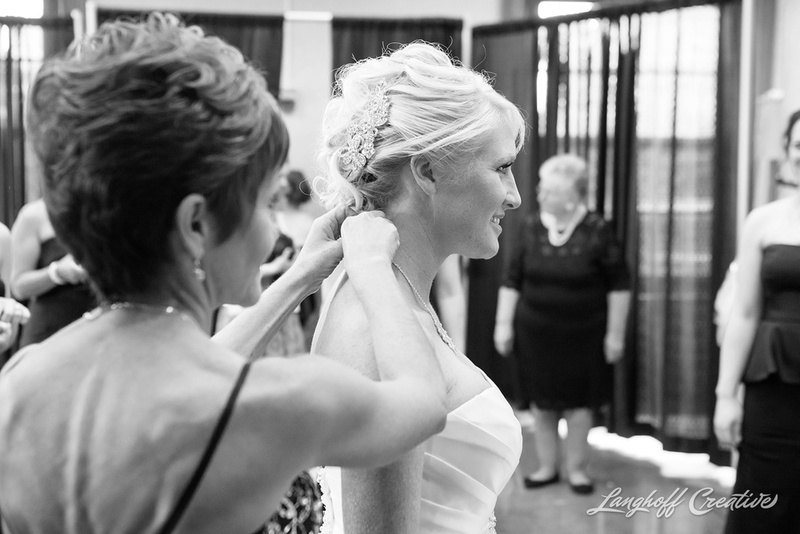 Capturing beautiful, timeless memories of a wedding day is a forever gift we are able to give to our couples. 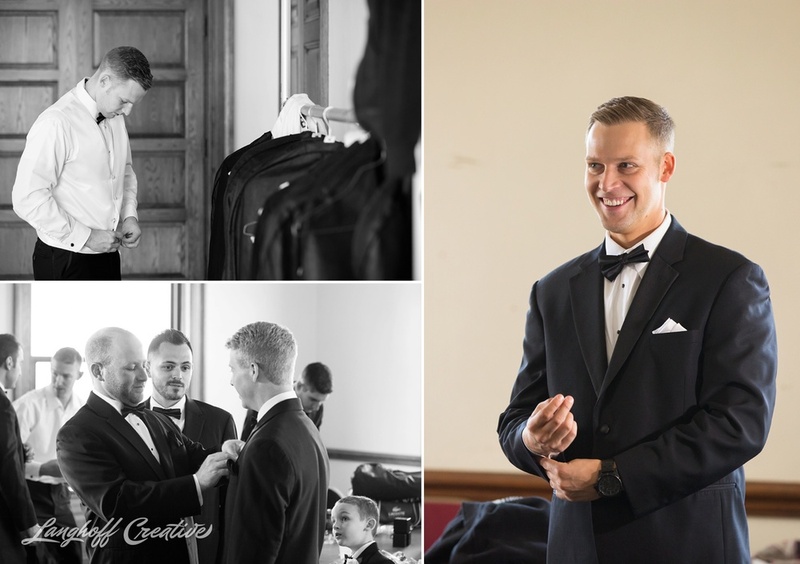 The black & gold, classic and elegant theme of their wedding was perfectly woven through every aspect of their decor, printed pieces and even their attire. 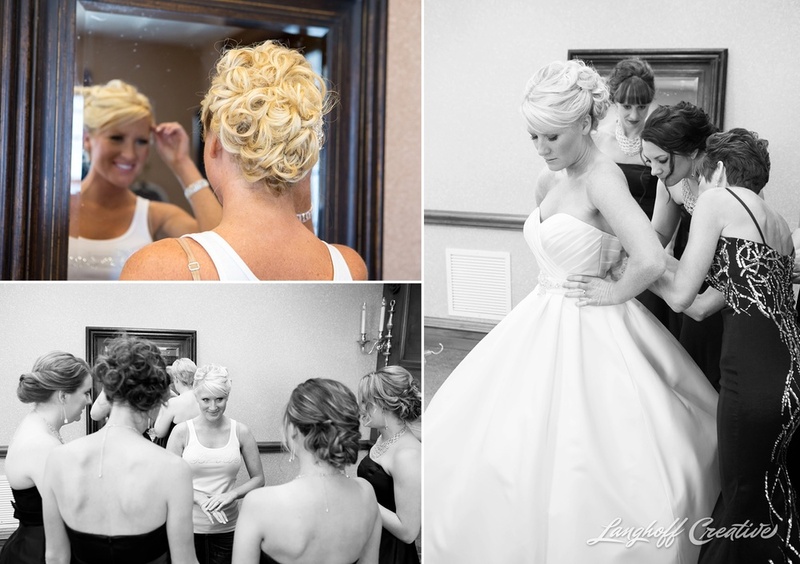 The mothers and bridesmaids were each stunning in their flattering black gowns and gold jewelry, the glittering accents on centerpieces and bouquets added a glamorous pop, and Mark’s skilled graphic design and illustration on every printed detail polished the entire classy look. 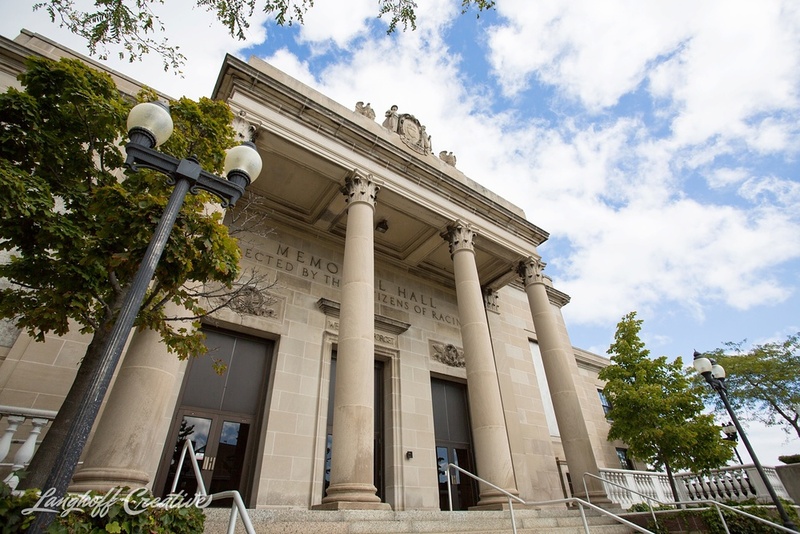 In addition to the most adorable flower girls & ring bearers and the most fun-loving bridal party, many friends, family members, and coworkers surrounded Mark and Raquel in celebration of their love in September at Memorial Hall (Racine, Wisconsin). 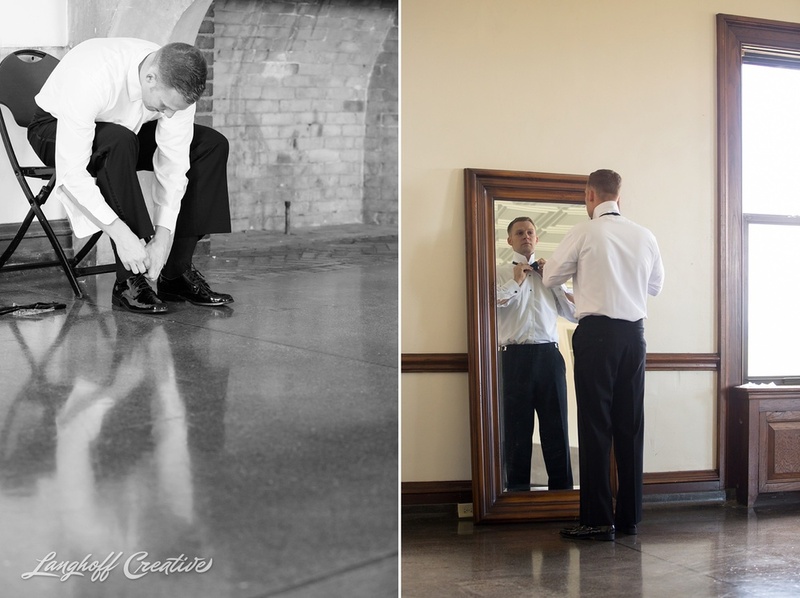 This venue couldn’t have been a better match for this couple with all of its historic character and charm. Even the weather cooperated perfectly for outdoor portraits in Racine. 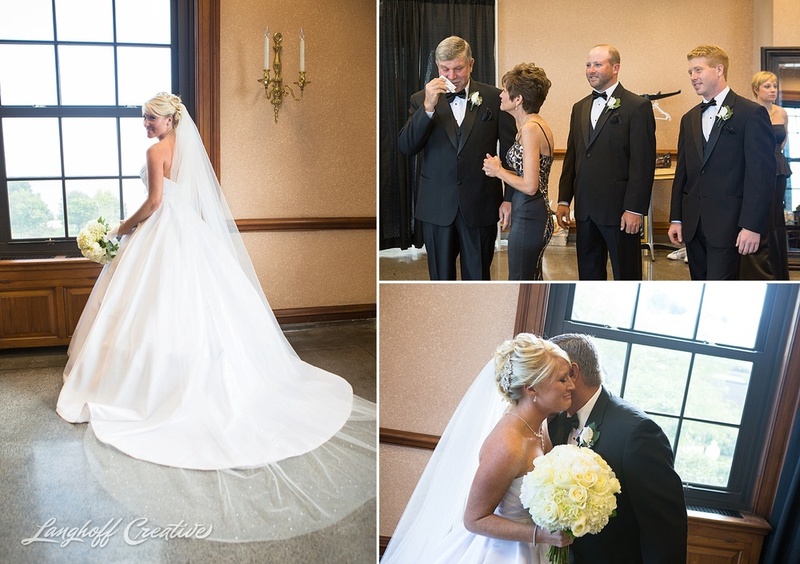 We are beyond excited to share the beautiful images from this wedding. You can view the entire gallery here, but some of our favorite highlights are below. Enjoy!